Is it climate change or global warming? Does outsourcing to a developing country lead to sweatshops or opportunities for advancement? Both in the arena of public opinion and the marketplace, firms, political groups, and non-government organizations (NGOs) are perpetually locked in framing and re-framing exercises to try and establish their view of an issue as the dominant one. Framing happens all the time, but the stakes for firms are particularly high when they have to navigate contentious issues, such as those involving regulatory power, the environment, or a social cause. It is also a highly fluid process tied to organizational strategy, one that intrigues Smith School of Business researcher Jean-Baptiste Litrico. “I’m really interested in how industries evolve and change towards integrating more socially relevant issues in the way they function,” says Litrico told me during an interview. Litrico and a fellow researcher from McGill conducted a multi-pronged study on framing focusing on civil aviation. It was a good choice: airports and airlines have been under pressure from NGOs and governments to mitigate their environmental impact, particularly in North America and Europe. In a fairly short period, civil aviation evolved from a praised icon of globalization to a symbol of environmental degradation. The researchers conducted interviews and other industry fieldwork and did a content analysis of the leading trade journal to track how two key issues — noise and emissions — were framed as they played out. Between 1996 and 2001, the noise issue placed airports in the crosshairs. Then, between 2007 and 2010, carbon emissions was the dominant issue that forced airlines on their back heels. While the issues were different, the way they were framed by the key actors — airports and airlines — showed a similar pattern. In the case of noise, airports originally framed the issue as an external disruptor from which the core business activity needed to be buffered. They presented it as a regulatory issue, complaining about restrictive measures imposed by local governments. Over time, this denial gave way to an openness to substantive change. Airports eventually came to view noise as an operational issue and some proudly announced steps to discourage night traffic and reduce aircraft noise. “In other words, their framing shifted from buffering, or resistance of the issue, to integration, or acceptance and proactive engagement,” Litrico says. 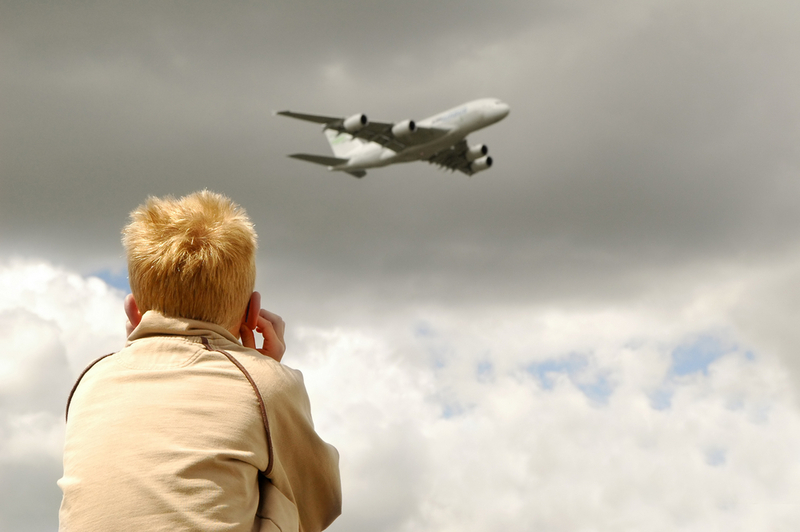 The noise controversy subsided in 2001 when a new noise standard was adopted by the International Civil Aviation Organization and stronger noise abatement procedures were put in place. This buffering-integrating framing dynamic played out in similar fashion with the carbon emissions issue, this time with airlines in the driver’s seat. Airlines early on felt directly targeted by growing public awareness of the carbon impact of flying and by the development of local carbon trading schemes in Europe, Australia, and New Zealand. They originally framed the carbon emissions issue as a threat to the sustainable growth of the industry before promising to slash their emissions. Why did some airports and airlines eventually come to realize that resisting pressures for change was not an effective long-term strategy and thus shifted their framing of the issues? Litrico provides three reasons. The first was that they received negative moral judgments from the public — airline executives, for example, were concerned of being viewed as the next tobacco industry. The second was the looming threat of externally-imposed regulation. And the third was pressure from within the sector itself. Airports in Europe were among the stakeholders pressuring airlines to accept carbon emissions regulation. Culture certainly plays a part in the framing process. The way issues are framed is coloured by the values and unwritten beliefs of how the world works, Litrico told me. But for many organizations, the buffering-integrating model can be a helpful way to understand why issue life cycles unfold the way they do.